3.5x3 Customized Laptop Computer Shaped Indoor Magnets 30 Mil can change the fortune of your business in great speed. 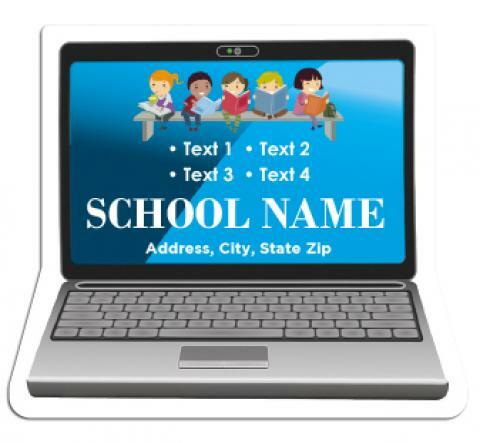 Laptop service centers, schools and various tech companies can utilize the features of these custom school magnets for promoting their services and brand. Tradeshows, expos and other promotional activities are good occasions to distribute these printable magnets to your target users. Order now to win our free digital proofs, free full-color printing, free digital design assistance and free shipping offers! 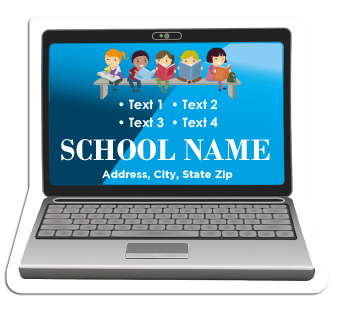 Request a quote to know savings that you can pocket on bulk ordering these 3.5x3 Customized Laptop Computer Shaped Indoor Magnets 30 Mil.